Calcium provides the building blocks that help keep bones and teeth strong and healthy. It also plays a role in proper function of the musculoskeletal and nervous systems. 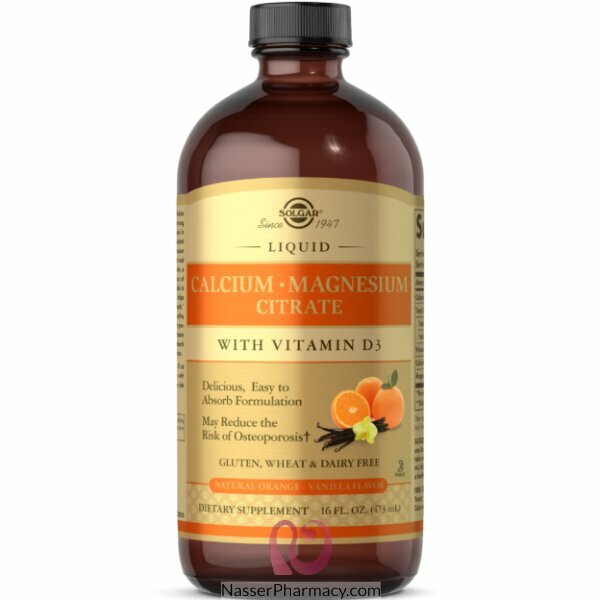 Magnesium helps to regulate calcium transport and stimulates the secretion of calcitonin, a hormone that aids in the influx of calcium into bone. Vitamin D is required to promote calcium absorption, which helps to maintain healthy bones and teeth. Vitamin D also supports a healthy immune system. This formulation provides Calcium, Magnesium and Vitamin D3 in a delicious and easy to absorb liquid form for daily supplementation. †Adequate Calcium and Vitamin D as part of a healthful diet, along with physical activity, may reduce the risk of osteoporosis in later life. Shake well before use. As a dietary supplement for adults, take one (1) tablespoon (0.5 fl oz) (15 ml) daily, with a meal, or as directed by a healthcare practitioner. Filtered water, fructose, citric acid, natural flavors, xanthan gum, carrageenan. If you are pregnant, nursing, taking any medications or have any medical condition, please consult your healthcare practitioner before taking any dietary supplement. Discontinue use and consult your healthcare practitioner if any adverse reactions occur. Keep out of reach of children. Store unopened container at room temperature. Do not use if neck seal is missing, torn or damaged in any way.